Eckhart Tolle tells us that every encounter we have with another human being offers the opportunity for profound connection and transformation. For those whove made it their lifes work to help others, this insight is especially powerful. 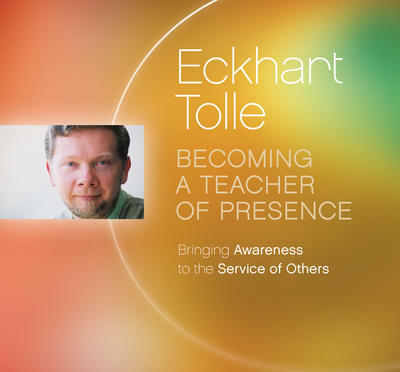 Today, many people in what Eckhart calls the helping professionsincluding therapists, counselors, and other caregiversare eager to incorporate his practical guidance into their work. Becoming a Teacher of Presence invites listeners to an in-depth audio retreat on accessing the source of wisdom and healing beyond the thinking mind. Here, Eckhart talks about the evolution of his own teaching from the early days on park benches meeting with passersby to his worldwide speaking engagements, in order to illuminate common pitfalls and challenges we face in living a life of presence and exemplifying it for the people we serve Topics include: whoor whatteaches; becoming comfortable not knowing; the awakening of true intelligence; and more.